Middle East Perspectives by Rick Francona: The Qods Force plot to kill the Saudi Ambassador - Amateur Hour? The Qods Force plot to kill the Saudi Ambassador - Amateur Hour? There has been a lot of "analysis" of the plot by the Iranian Qods Force to assassinate 'Adil bin Ahmad al-Jubayr, the Saudi Ambassador to the United States. It has been called amateurish, an act of war or a rogue operation. The Iranians claim that the entire story is simply a fabrication of the Obama Administration. Given the transfer of $100,000 from the Iranians to someone they believed was part of Mexican drug cartel and the confession of the one person now in custody, I am dismissing the Iranian regime's claims that the plot was made up by the Obama Administration. Granted, Attorniey General Eric Holder could use a distraction from his abysmal performance in a host of national security matters, but this is not it. One only needs to look at Holder's attempts to try senior al-Qa'idah operatives in a New York City federal courthouse rather than military tribunals in Guantanamo, or his decisions to treat "underwear bomber" Umar Farouk Abdulmutallab as a criminal rather than as the illegal combatant he is. As the facts of the botched Fast and Furious operation expose Holder's ineptitude and deceit, he could use a successful case - like breaking up a plot to assassinate the ambassador of one of America's closest allies. Let's address the so-called amateurish nature of the operation. Having run somewhat similar operations in the past (although I never tried to have anyone assassinated), I can identify with the Iranians involved in the case - the three Qods Force case officers, Gholam Shukuri, Qasem Soleimani and Hamed Abdollahi. Like me, these case officers are trained to spot, assess and recruit assets to conduct whatever operation they are tasked with, be it intelligence collection or a covert action. We should not underestimate the Iranians - the Qods Force is the elite operations element of the Islamic Revolutionary Guard Corps (IRGC). These Iranian case officers probably received similar training as we American case officers - after all, much of the intelligence training in Iran prior to 1979 was modeled after ours. As I read the case, there are, however, some glaring tradecraft errors that I will not specifically discuss. The fact that there are errors is good for us. In the intelligence world, you sometimes have to recruit assets that are not always the most skilled or the most reliable people - you take what you can get. If you can find someone willing to betray their country or conduct dangerous operations, sometime you have to overlook character flaws. When the Iranians spotted Manssor Arbabsiar, they saw a man who could be manipulated and who needed money. For the Iranians, Arbabsiar was a "throwaway," someone who was useful for an operation, but of no consequence if discovered. Arbabsiar's ability to be manipulated was confirmed when the FBI was able to convince him to make recorded, and incriminating, phone calls to Shakuri in Iran. I am surprised at the apparent urgency on the part of the Iranians to kill Ambassador al-Jubayr, but not with the selection of the target. 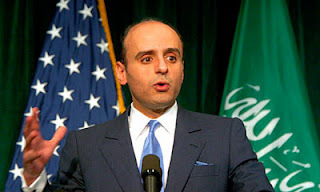 Al-Jubayr has been a strong proponent of the close relationship between the United States and Saudi Arabia, and a vociferous critic of the increasing Iranian power in the Gulf region. 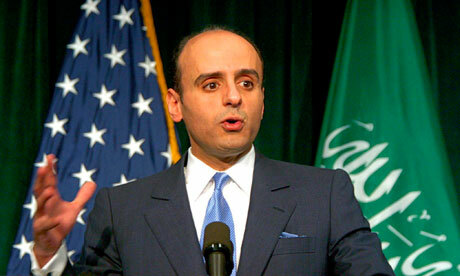 According to a leaked 2008 cable from the U.S. Embassy in Riyadh, Ambassador al-Jubayr, who is close to Saudi King 'Abdullah, reiterated the Saudi monarch's frequent exhortations to the United States to attack Iran over Tehran's nuclear program, quoted the King as saying, "cut off the head of the snake." The Saudis and Iranians have been rivals for influence in the Gulf - they both control major portions of the Gulf coast - Saudi Arabia on the west and Iran on the east. The rivalry is not only based on geography, but religion and ethnicity. The Saudis are Arabs and predominantly Sunni Muslims, while the Iranians are mostly Persians and overwhelmingly Shi'a Muslims. One of the key issues between the two countries is Iran's quest for a nuclear weapons capability. The Saudi believe, rightly in my opinion, that Tehran's acquisition of nuclear weapons will ignite an arms race in the region, virtually forcing states like Saudi Arabia, Egypt and Turkey to acquire a similar capability. It will be a huge expense none of them needs or wants. That said, why kill the Saudi ambassador to the United States on American soil? That is truly a provocative act. Certainly the Iranians would have been on the short list of suspects had the operation been conducted. And why now? When contacted by Arbabsiar, Colonel Shukuri indicated that he wanted the operation to be done as soon as possible. What was driving the timing of the operation? Is there another operation that is tied to this one? If I were investigating this case, I'd surely be asking those questions. According to the State Department, representatives of the United States and Iran sat down to discuss this issue. Why are we meeting with the Iranians over this, or anything for that matter? Is this more of the misguided Obama Administration outreach to the Iranians? How many times do we have to be outmaneuvered before we give up trying to negotiate with these people and start acting in our own interests? The Iranians, specifically the IRGC Qods Force, has American blood on its hands in both Iraq and Afghanistan. Now we discover that they have just planned an operation to kill the ambassador of one of our closest allies in our own capital city, an operation in which dozens of Americans would also have been killed. This plot would have to have been approved at the highest levels, and when you are talking about the IRGC and especially the Qods Force, they answer directly to the Supreme Leader of the Islamic Revolution, Ali Khamenei. The transfer of $100,000 certainly was approved above Colonel Shakuri's level. This operation has unmasked the Iranian regime for what it is. I hope the Obama Administration finally wakes up and recognizes that these are not people we can negotiate with, be it about this issue, support to the Taliban in Afghanistan and Shi'a militias in Iraq, or their nuclear weapons programs. If the United States continues to display what is perceived as weakness in our position towards Iran, we can expect more of these types of operations targeting our interests. Why not? There never seem to be consequences for the Iranians.